*Ask sales rep for more information. BUNGALOW lots available 44 -70ft backing onto greenspace with triple car garage option ! 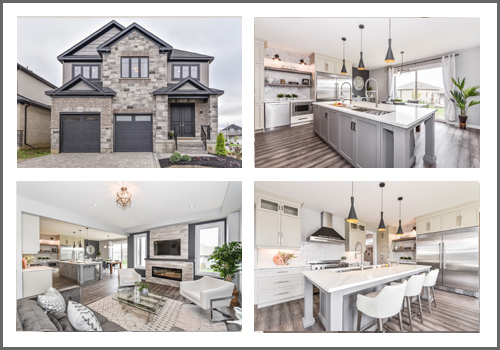 Beautifully appointed builder model home from top to bottom! This brand new home is move in ready! 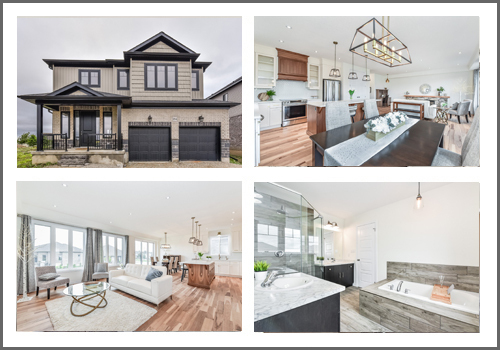 Quality built by award winning Capital Homes, this 4 bedroom + 2nd fl media room Willowdale model is loaded with upgrades. Includes 5" plank hardwood on main, 12x24 porcelain tile, 6' island with granite countertops, custom cabinetry with soft close doors and drawers, designer backsplash, 2nd fl media room, 2nd fl laundry. Spacious master bedroom is loaded with natural light and big windows. Features large WIC and 5pc luxury ensuite with glass shower, tub, two seperate vanities and modern tilework. Oversized basement ceiling height, double car garage, sodded lot and paved driveway included. Energy Star Certified! Ask sales rep about other floor plans, lots and available model homes! OPEN HOUSE every Sat & Sun from 1-4pm at 188 Theodore Schuler Blvd. 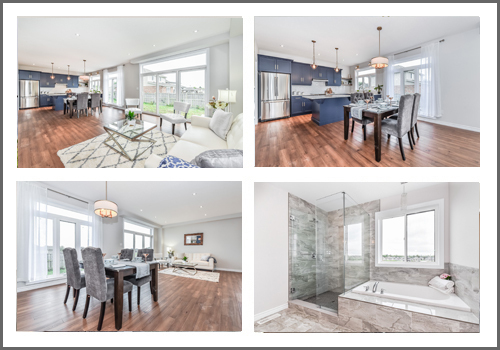 Award winning Capital Homes presents the Willowdale model home, now for sale. Designer rustic finishes include upgraded hardwood, 9' custom hickory island with hickory hood, granite sink, brass hardware, oversized windows throughout. Great room includes hardwood and rustic farmhouse stone fireplace mantle - simply stunning! 12x24 tile. 4 bedrooms plus 2nd fl family room/office. Luxury ensuite, 2nd fl ensuite. Kitchen appliances. Energy Star. Paved drive and much more! Quick possession available! 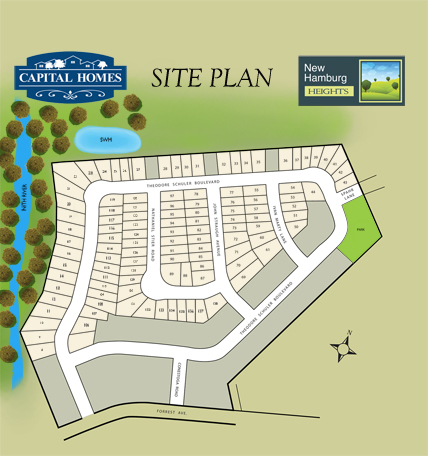 Award winning Capital Homes presents the exceptional Golden Larch model. This is a DREAM HOME! Prepare to be impressed by the stunning layout and designer finishes! 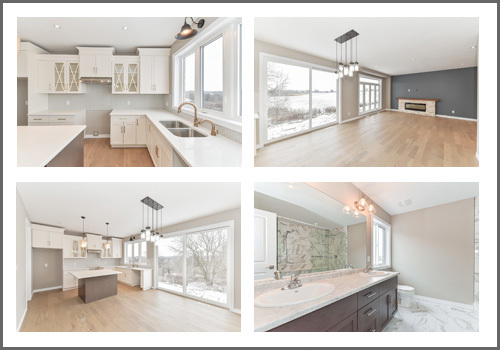 Situated in the desirable family community of New Hamburg Heights, this home features a custom chef kitchen fully equipped for anyone who loves cooking and entertaining! 48" Bertazonni range and hood, oversized 72" fridge/freezer, professional 5' kitchen galley sink with several built in accessories! 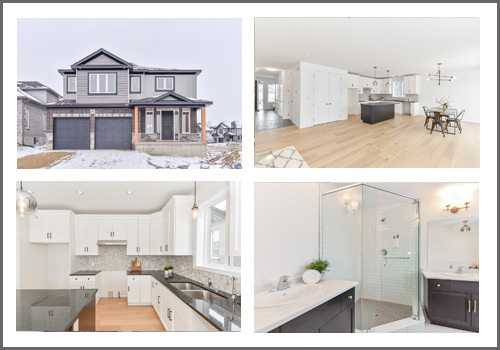 Hardwood throughout, 12x24 porcelain tile, hardwood staircase, limestone fireplace mantle, 4 bedrooms with seperate family room upstairs, 2nd fl laundry room with custom cabinetry, 5pc luxury ensuite and exceptional mudroom setup off garage. Landscaped lot, fence in back and stone interlock driveway and walkway. Situated on a 55' lot, this dream home is now available for sale! make it yours today! STUNNING builder model home with walk out basement backing onto bush and greenspace! Designer appointed with stunning upgrades througout including custom cabinetry with quartz CT, island, 3pc stainless appliances, glass doors, granite kitchen sink with oversized windows. Walk in pantry for abundant storage! 5" plank hardwood on main floor, 12x24 tile, spacious walk in entry closet, mudroom off garage, 2nd fl family room and 3 bedrooms. Master bedroom features large WIC and 5pc luxury ensuite with glass shower, tub and double vanity. Oversized walkout basement ceiling height, large windows and 6' patio door. Upgraded windows, upgraded 8' tall interior doors. Double car garage,fully drywalled. Designer appointed light fixtures. Energy Star. Fully sodded and paved lot. Make this your home today, it will not last long! This heritage-rich and innovative community offers remarkable amenities to residents of all ages and lifestyles. A growing hotspot for work and recreation, New Hamburg features outdoor markets, festivals and special events year-round. It is also minutes away from leading institutions in business, technology and education. New Hamburg appeals to both urban and outdoor living. Enjoy pristine parks, explore the great outdoors and discover a vibrant arts and culture scene. 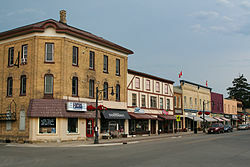 Experience the best of both worlds in New Hamburg: aplace to live, work and play for everyone.